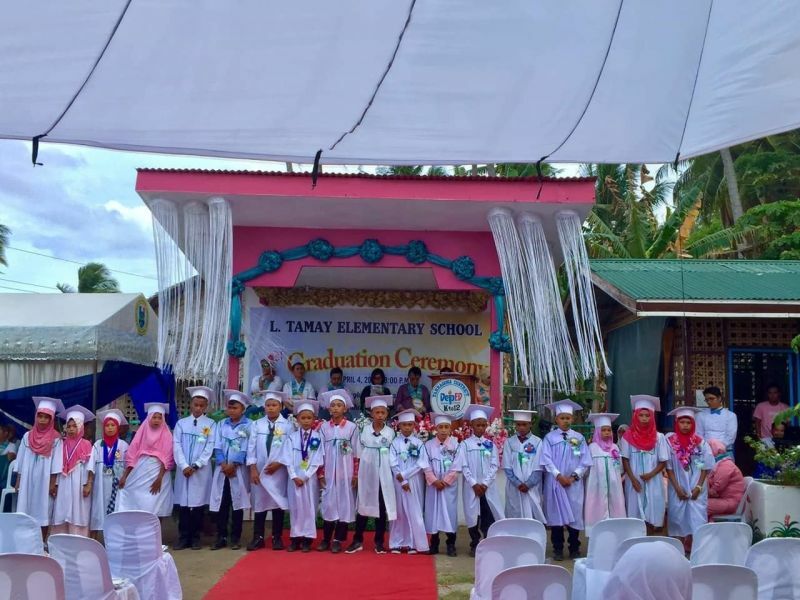 APRIL 4 was an ordinary day as one of the days intended for Graduation and Moving Up Ceremonies in all public schools in the country including the schools in the Division of Davao Oriental. 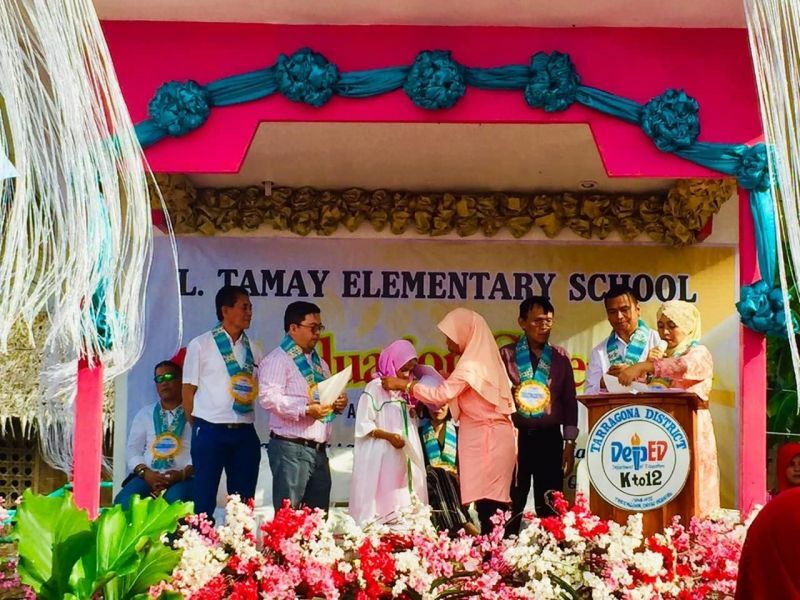 But not for L. Tamay Elementary School, with predominantly Muslim learners in Tarragona District which held its first ever Commencement Exercises after 38 years of existence and several occasions of near closure due to dwindling enrolment. It was during one of the visits of Public Schools District Supervisor Expedito Satinitigan in 2014 that the school was finally given the attention it deserves. 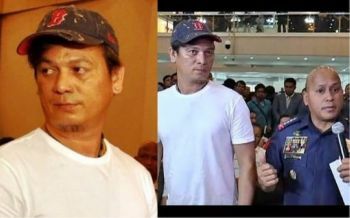 He brought the hapless situation to the attention of Tarragona Mayor Nestor L. Uy. Seeing the opportunity to enliven the spirits of the learners, the two visited the school and were met by pupils who sang a song asking help from the local chief executive to rehabilitate the sagging primary school to go back to existence again. The day after, materials and laborers came to the school to repair the roof, ceiling, walls, and the chairs to start realizing the dreams of the children to have a school conducive to learning. The next step proved to be tedious as Satinitigan started the elusive task of finding a teacher who would teach and head the school at the same time. He approached a handy and ended up approaching a new teacher whom he had seen to offer a lot of promise as school head, Dennis Awing. It was not easy to extract him from his former school for he was considered an asset of the school because of his well-rounded ability. After series of negotiations, Awing finally gave in to the prodding and because of his genuine concern to the welfare of the children, he started rehabilitating the school and gave a new lease of life to the dying institution. His background as a nongovernment organization organizer had paved way for him to hurdle all the challenges, a lot of them to regain the consciousness of the community on the existence of the school. Today, from a measly 31 enrollees in school year 2014-2015, now it soared to 176 and from a former primary school to elementary school. L. Tamay Elementary School was established in the year 1980. The name of the school was derived from the owner of the land named Labuyo Tamay. It is located in Sitio Sabang 1, Barangay Lucatan, Tarragona, Davao Oriental. It is approximately 4 kilometers from Tarragona District. The school has a land area of more or less 1,000 square meters donated by Tamay Clan. For the past years, L. Tamay Elementary School has been confronted with so many challenges in terms of physical facilities. The learning environment of the school was very disturbing. The school roofs already collapsed and building structures become weaker due to aging and lack of repair and maintenance. When it rains, the rain water flooded the entire classroom. The situation damaged school properties like chairs, tables, books, and instructional materials. The situation also caused discomfort on the part of learners because when it rains the pupils were kept on moving from one area to another area, finding a place where they were comfortable. The learners were also disinterested in going to school especially when there was a bad weather condition because they think of the uncomfortable situation in the classroom and this hugely affects the quality of education that the learners were getting. Aside from damaged school roof and ceiling, physical building conditions such as inadequate ventilation, poor lighting, and non-functioning toilets were the problems that need urgent response and action. From dilapidated classroom building for many years, it was transformed gradually in year 2014 into a healthy learning environment through the initiative of the school head, Awing with full participation of teachers, parents, community members and strong support from Local Government Units of the Municipality of Tarragona headed by Mayor Uy and Barangay Lucatan led by Barangay Captain Manny Tambuco. For the past many years, L. Tamay Elementary School offers only Kindergarten, Grade I and Grade II. Last School Year 2015-2016, parents made an appeal and requested the School Head for the opening of Grade III. Reasons for opening of Grade III class were the following; (a) most of the Grade II pupils would not continue their study in the neighboring school because of the distance; (b) additional expenses for the parents because of transportation expenses; and lastly, the parents could no longer monitor their pupils. If this would not be given attention, pupils right to education would be hampered. Thus, the school needed to address this problem. On school year 2016-2017, Grade 4 was opened given the same reasons cited above. Last school year 2017-2018, Grade V was opened due to compelling reason and request from the parents and community. And this school year 2018-2019, grade VI was opened. Finally from Primary School, it is now a complete elementary school. In terms of teaching force, on school year 2014-2015, L. Tamay Elementary School has only one teacher teaching Kindergarten, Grade I and Grade II and at the same time Teacher In-Charge. In school year 2015-2016, the school was given one additional teacher. On school year 2016-2017, the school was given two additional teachers. School year 2017-2018 one additional teacher has been given to L. Tamay due to significant increase of enrolment. A total of five teachers. One teacher handling Kindergarten and Grade I, one teacher handling Grade II, one teacher handling Grade III, one teacher handling Grade IV and one teacher handling Grade V and VI. From one dilapidated classroom building in year 2014, L. Tamay ES has one additional classroom building from the office of then Governor and now Representative Corazon N. Malanyaon. The said building has been occupied by Kinder and Grade 1 while the newly repaired building (the old building) has been occupied by Grade II and III. With the desire of the school to give the learners a safety and comfortable feeding center, they were able to construct new feeding center on October 23, 2015 through the support of Local Government Units, private individuals, L. Tamay ES supporters and parents. L. Tamay ES also received a two room building from the Federation of Filipino Chinese Chamber of Commerce and Industries Incorporated with the construction done by administration by the Office of the Provincial Governor Nelson L. Dayanghirang wherein the turn-over attended by its officers and members was done on July 20, 2018.